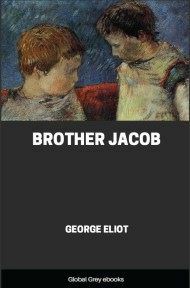 Brother Jacob is a short story by George Eliot, in which she explores the relationship between the selfish, self-centered and ambitious David Faux and his idiot brother, Jacob. Among the many fatalities attending the bloom of young desire, that of blindly taking to the confectionery line has not, perhaps, been sufficiently considered. 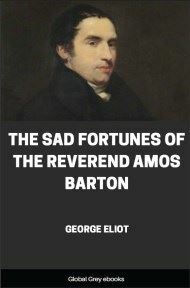 How is the son of a British yeoman, who has been fed principally on salt pork and yeast dumplings, to know that there is satiety for the human stomach even in a paradise of glass jars full of sugared almonds and pink lozenges, and that the tedium of life can reach a pitch where plum-buns at discretion cease to offer the slightest excitement? Or how, at the tender age when a confectioner seems to him a very prince whom all the world must envy—who breakfasts on macaroons, dines on meringues, sups on twelfth-cake, and fills up the intermediate hours with sugar-candy or peppermint—how is he to foresee the day of sad wisdom, when he will discern that the confectioner’s calling is not socially influential, or favourable to a soaring ambition? I have known a man who turned out to have a metaphysical genius, incautiously, in the period of youthful buoyancy, commence his career as a dancing-master; and you may imagine the use that was made of this initial mistake by opponents who felt themselves bound to warn the public against his doctrine of the Inconceivable. He could not give up his dancing-lessons, because he made his bread by them, and metaphysics would not have found him in so much as salt to his bread. It was really the same with Mr. David Faux and the confectionery business. His uncle, the butler at the great house close by Brigford, had made a pet of him in his early boyhood, and it was on a visit to this uncle that the confectioners’ shops in that brilliant town had, on a single day, fired his tender imagination. He carried home the pleasing illusion that a confectioner must be at once the happiest and the foremost of men, since the things he made were not only the most beautiful to behold, but the very best eating, and such as the Lord Mayor must always order largely for his private recreation; so that when his father declared he must be put to a trade, David chose his line without a moment’s hesitation; and, with a rashness inspired by a sweet tooth, wedded himself irrevocably to confectionery. Soon, however, the tooth lost its relish and fell into blank indifference; and all the while, his mind expanded, his ambition took new shapes, which could hardly be satisfied within the sphere his youthful ardour had chosen. But what was he to do? He was a young man of much mental activity, and, above all, gifted with a spirit of contrivance; but then, his faculties would not tell with great effect in any other medium than that of candied sugars, conserves, and pastry. Say what you will about the identity of the reasoning process in all branches of thought, or about the advantage of coming to subjects with a fresh mind, the adjustment of butter to flour, and of heat to pastry, is not the best preparation for the office of prime minister; besides, in the present imperfectly-organized state of society, there are social barriers. David could invent delightful things in the way of drop-cakes, and he had the widest views of the sugar department; but in other directions he certainly felt hampered by the want of knowledge and practical skill; and the world is so inconveniently constituted, that the vague consciousness of being a fine fellow is no guarantee of success in any line of business. This difficulty pressed with some severity on Mr. David Faux, even before his apprenticeship was ended. 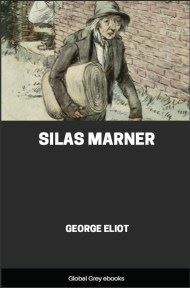 His soul swelled with an impatient sense that he ought to become something very remarkable—that it was quite out of the question for him to put up with a narrow lot as other men did: he scorned the idea that he could accept an average. 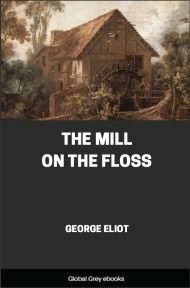 He was sure there was nothing average about him: even such a person as Mrs. Tibbits, the washer-woman, perceived it, and probably had a preference for his linen. At that particular period he was weighing out gingerbread nuts; but such an anomaly could not continue. No position could be suited to Mr. David Faux that was not in the highest degree easy to the flesh and flattering to the spirit. 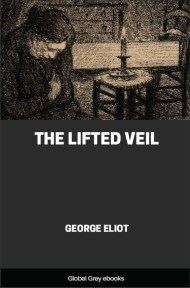 If he had fallen on the present times, and enjoyed the advantages of a Mechanic’s Institute, he would certainly have taken to literature and have written reviews; but his education had not been liberal. He had read some novels from the adjoining circulating library, and had even bought the story of Inkle and Yarico, which had made him feel very sorry for poor Mr. Inkle; so that his ideas might not have been below a certain mark of the literary calling; but his spelling and diction were too unconventional. 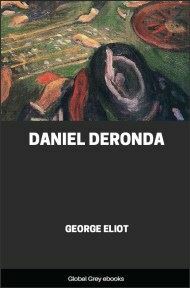 When a man is not adequately appreciated or comfortably placed in his own country, his thoughts naturally turn towards foreign climes; and David’s imagination circled round and round the utmost limits of his geographical knowledge, in search of a country where a young gentleman of pasty visage, lipless mouth, and stumpy hair, would be likely to be received with the hospitable enthusiasm which he had a right to expect. Having a general idea of America as a country where the population was chiefly black, it appeared to him the most propitious destination for an emigrant who, to begin with, had the broad and easily recognizable merit of whiteness; and this idea gradually took such strong possession of him that Satan seized the opportunity of suggesting to him that he might emigrate under easier circumstances, if he supplied himself with a little money from his master’s till. But that evil spirit, whose understanding, I am convinced, has been much overrated, quite wasted his time on this occasion. David would certainly have liked well to have some of his master’s money in his pocket, if he had been sure his master would have been the only man to suffer for it; but he was a cautious youth, and quite determined to run no risks on his own account. So he stayed out his apprenticeship, and committed no act of dishonesty that was at all likely to be discovered, reserving his plan of emigration for a future opportunity. And the circumstances under which he carried it out were in this wise. 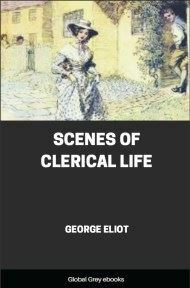 Having been at home a week or two partaking of the family beans, he had used his leisure in ascertaining a fact which was of considerable importance to him, namely, that his mother had a small sum in guineas painfully saved from her maiden perquisites, and kept in the corner of a drawer where her baby-linen had reposed for the last twenty years—ever since her son David had taken to his feet, with a slight promise of bow-legs which had not been altogether unfulfilled.